What is World Migratory Bird Day? World Migratory Bird Day (WMBD) was initiated in 2006 and is an annual awareness-raising campaign highlighting the need for the protection of migratory birds and their habitats. 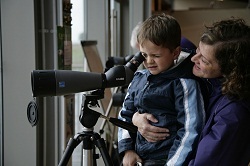 On the second weekend each May, people around the world take action and organise public events such as bird festivals, education programmes and birdwatching excursions to celebrate World Migratory Bird Day. World Migratory Bird Day activities take place in many different countries and places, but are all linked through a single global campaign and theme. Anyone interested in organising an event to mark World Migratory Bird Day is encouraged to register their planned activity on this website. In this way, individual events can be shared with others around the world and help inspire them to get involved. How can you participate? 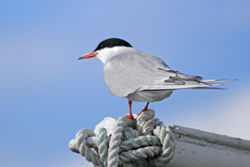 This Year's Theme - "Networking for migratory birds"
The survival of migratory birds depends on the availability of well-connected habitat networks along their migration routes. The theme of this year's World Migratory Bird Day "Networking for migratory birds" aims to emphasize both ecological networks, as well as networks between organizations and individuals and their mutual importance for the long-term conservation of migratory birds. 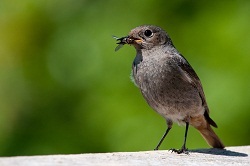 Suitable habitats are vital for migratory birds as they provide the areas necessary for feeding, resting and breeding. They represent key sites along migration routes and allow migratory birds to travel huge distances, sometimes comprising thousands of kilometres. However human activities, directly or indirectly, damage these sites through habitat fragmentation and degradation, thereby posing a grave threat to migratory bird species. These important habitats are disappearing and with them the networks that connect them. With limited access to these important sites, birds may not survive their demanding journeys. 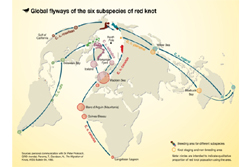 Consequently, the management of ecological networks is crucial for the protection of avian migratory species. The theme "Networking for migratory birds" also highlights the need to cooperate and network amongst organizations and people to conserve migratory birds. Since these migratory routes often cross many nations, and even entire continents and oceans, an effective management strategy requires joint action in the form of international cooperation. 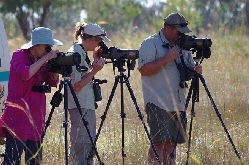 Collective conservation actions by nature conservation organizations, scientists, governments, and the general public are needed to ensure the survival of these migratory birds. 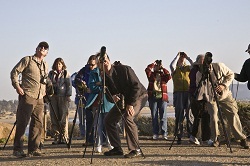 Learn more about this year's theme -"Networking for migratory birds"